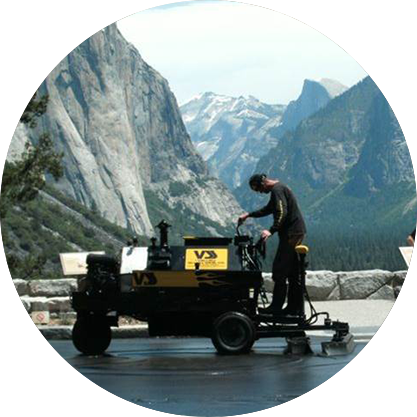 Seal Coating is a thin asphaltic treatment used to protect pavement surfaces from UV radiation and oxidation. 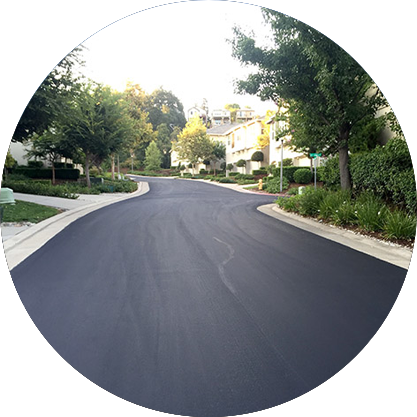 Seal coat may contain asphaltic or coal tar emulsion, fillers, sand, polymer latex, fibres, and pigments. It depends on the application. Seal coats are mostly for protecting a surface from aging. They are a thin layer and work well as void fillers. 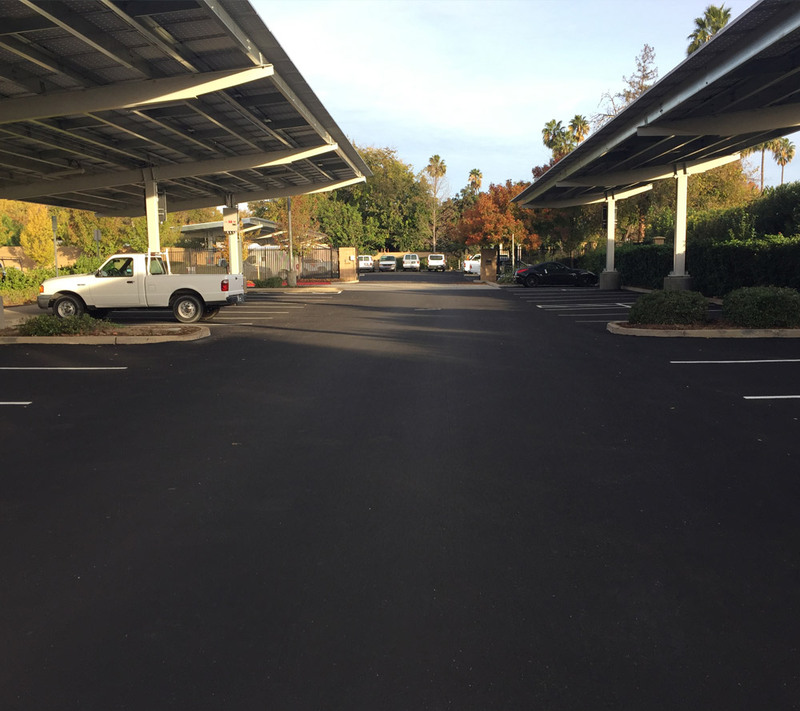 They may be used for parking lots, walkways, driveways, roofing in some circumstances. Seal Coats are very fine materials. They are applied as relatively low viscosity mixtures with water so the resulting surface is very smooth. It is not intended for fast traffic or where skid resistance is important. Binders are selected for the type of job. 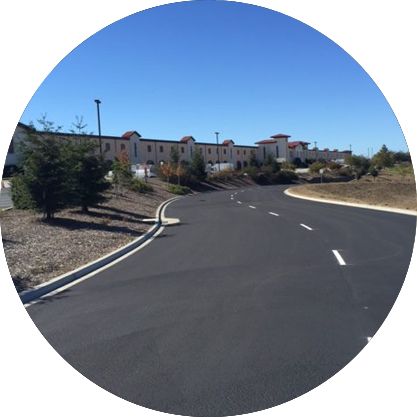 Binders may be emulsified asphalt or coal tar, emulsified polymer asphalt, latex modified emulsified asphalt, rejuvenating oil modified asphalt emulsions or hot applied binders with asphalt rubber fibres or polymers. VSS will advise on the type of seal that is suitable. Different types of aggregate will give lighter or darker results. How Is Seal Coating done? Seal Coating is applied via a purpose-built unit that sprays the material behind it and spreads it in one motion. It may also be applied by a squeegee. Surface preparation is important. The surface must sound as cracks will reflect back in a short time. This means crack filling and patching first. It also means killing weeds and cleaning oil spots first. Seal Coat may be applied over hotmix, slurry or chip seal. The surface must be cured out before application. 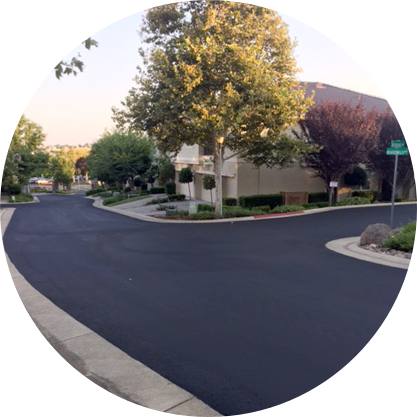 Seal coats make a smooth and attractive surface that resists aging and protects the valuable pavement. 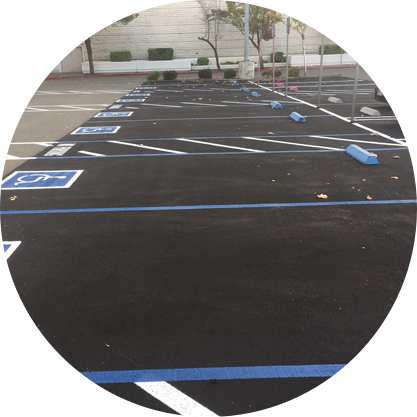 Seal Coat is a thin layer it is economic and will protect the pavement below. A VSS estimator will be pleased to measure your job and give you an exact price.